It’s important for sports parents to drop the sports fan mindset when watching their kids perform, said Bob Katz, a journalist, former sports dad and author of the kids’ book “EZ and the Intangibles” in a recent interview. Katz argues that the informality and fun integral to sports kids’ learning is being eclipsed by intensity and criticism that should be postponed to much later in life. “Eight- to 10-year-olds should not be encountering the sports world the way multi-million dollar superstars do, with that kind of criticism,” says Katz. Intense criticism and praise can cause sports kids to feel so much pressure they want to quit sports altogether. They may choose instead activities that they perceive as more fun. To combat this trend, Katz encourages sports parents to work on becoming more self aware so they can identify and stop behaviors that undermine their kids’ experience. Here at Kids’ Sports Psychology and the Ultimate Sports Parent, we agree that intense criticism and praise can undermine kids’ confidence. 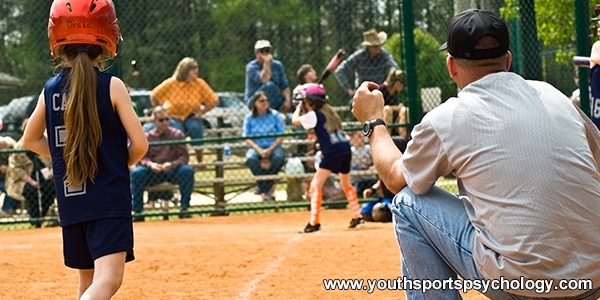 Instead of focusing so much on achievement, parents need to encourage kids to focus on the process–passing well, communicating with team mates, or being good defensive players. And parents should always encourage kids to have fun!